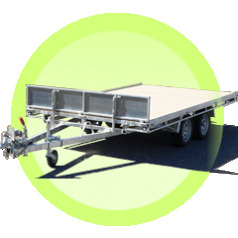 Why choose a Prescott Trailer? Whether you require one of our range of 29 standard trailers or a custom one specially created just for you, buying your premium quality trailer direct from our factory is the right choice. 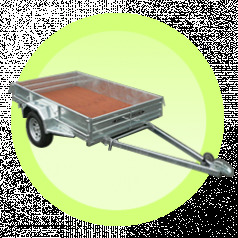 As well as standard car trailers, we manufacture farm trailers, horse floats, quad bike and boat trailers. 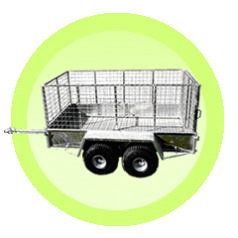 Tractor and car transporters, tippers, feeders and trailers for the kiwifruit and the soft fruit industry. If you are unable to find a suitable trailer in our standard ranges, we are able to modify and customise to suit your requirements. See for yourself, come to the factory and discuss your ideas with us. 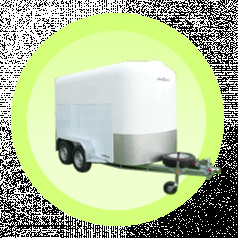 Prescott Trailers are designed for farmers and tradesman who need an extremely strong, dependable and durable trailer that can take the knocks and abuse of day to day use. Our engineering staff build all our trailers here at the factory and we support local businesses when sourcing materials, parts and services whenever we can. We adopt the "Buy NZ Made" ethos and are proud to be 100% NZ owned and operated. 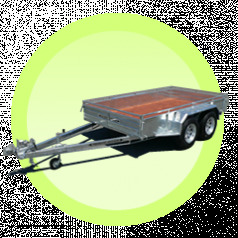 All Prescott Trailers come with a 2 year warranty for workmanship and materials. Before you buy, call us... get the right advice and the right trailer at the right price. 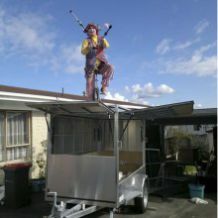 To all at Prescott Trailers, Many thanks for the Fantastic Trailer you built for me. Really love the way it sits on the road, hardly know it is there behind me. We did the trip to Opotiki and then a few days later did the return trip to Waimate North with no problems what so ever. Everywhere I have been there have been nothing but favorable comments, everyone is truly impressed. Look forward to using it lots around here carrying all sorts of things, starting tomorrow with a lot of Building materials. All the very best. 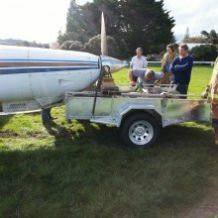 Thanks for supplying a great trailer to Pauanui Fire Brigade, today was the first time it has been used, just thought we would flick you a couple of pictures, an aeroplane got its nose wheel stuck in a boggy piece of the airfield on take off, wheel assembly gave way and nose and prop went into the dirt, in order to clear the runway the only way we could move it was using our new trailer, tailboards as ramps, worked perfect, cheers for the the quality product. If your trailer has a specific problem or failed a WOF or you want to service your trailer for peace of mind or ready for WOF test, simply give us a call today or book a service or repair here. 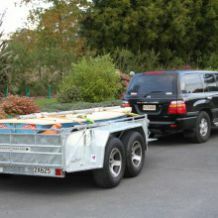 We can inspect your trailer and provide a quote before starting work. 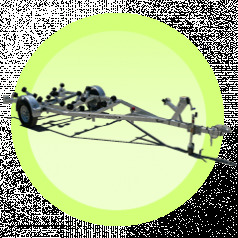 Our engineers can work on all trailer models from any manufacturer. trailer at the right price.